The versatile HC1850 Computerized Sewing Machine gives you the flexibility to do everything from basic monogramming, to creating quilts, adding decorative stitches to clothing and craft projects, sewing buttonholes and more. 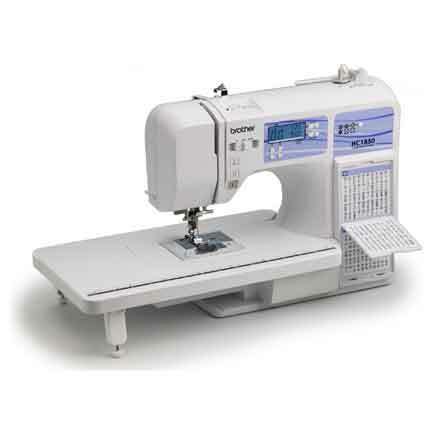 The HC1850 features 130 unique stitches, including 8 styles of 1-step buttonholes, plus 55 alphanumeric sewing stitches for basic monogramming. 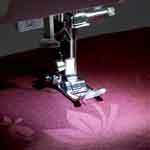 Quilters enjoy the included spring action quilting foot, detachable wide table, and the ability to do free-motion quilting. Designed for flexibility and ease of use, this machine includes 8 presser feet, an attached stitch reference flip-chart, push-button stitch selector, adjustable sewing speed, automatic threading system, and detachable foot controller. Though heavy on features, the HC1850 is also incredibly lightweight, and perfect for carrying your machine to classes. 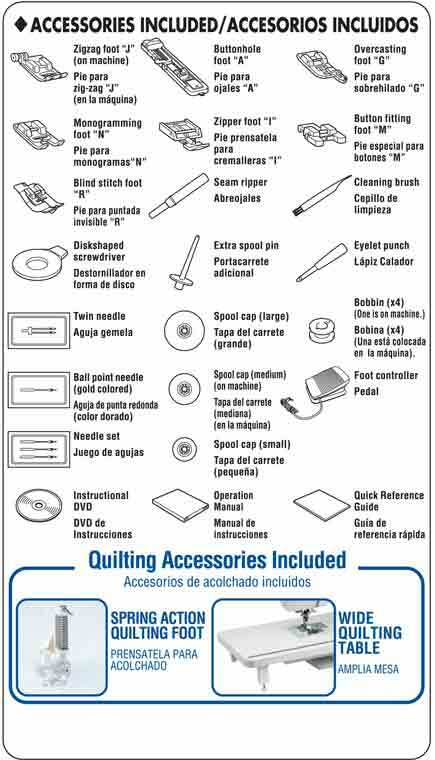 Includes a bilingual English/ Spanish instructional DVD and printed manual, and a 25-year limited warranty. 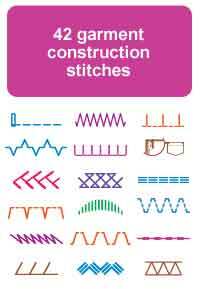 Use the push-button stitch selectors to choose your stitches, and see your selection clearly on the brightly lit LCD display screen. 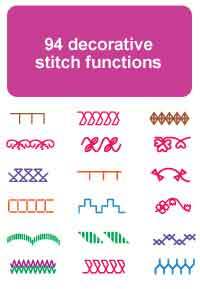 Perfect for basic monogramming, the built-in sewing font includes letters A-Z, numbers 0-9, 7 punctuation marks, and 8 specialty symbols. Ideal for quilts and larger projects, the included wide table gives you the extra space you need to better maneuver your project. 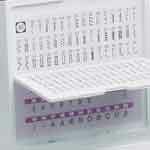 Quickly view all the built-in stitches in the convenient flip chart, built right onto the machine. The LED-lit work area gives you a bright area to view the details of your project, and is perfect for sewing on darker fabrics. 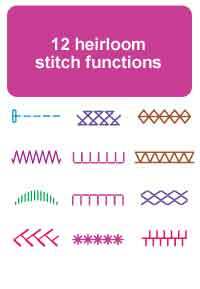 Easily change your sewing speed as you work, with the convenient stitch speed slide control. With just a touch of a lever, the built-in auto needle threader pushes your thread right through the eye of the needle. Just drop in your bobbin, pull the thread through the slot, and start sewing! • Easy bobbin winding Once you have the thread in place, just move the bobbin to the right, push the Start button, and the bobbin is quickly wound for you. 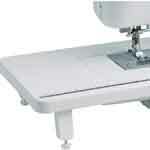 • Exceptional feed system Sew more easily on almost any fabric! 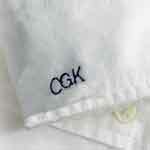 The exceptional feed system helps move the fabric smoothly, for more precisely formed stitches. 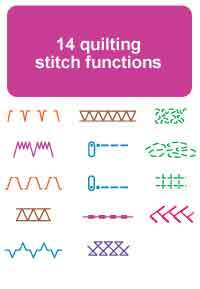 • Drop feed for free-motion quilting Get creative with your quilting projects! 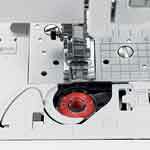 The drop feed system allows you to handle free-motion quilting with ease. 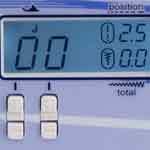 • Operation with or without foot control Control basic sewing functions with the included foot controller, or with the convenient controls on the machine - Choose which works for you!